A Whispered Wish: The World Needs More _____. The World Needs More _____. Fill-in-the-blank, would you? The world needs more _______. Depending on when presented with this challenge, I’m almost certain I would complete it differently each time because, let’s face it, the world needs a lot. The world needs more DREAMERS. The world needs more DOERS. The world needs more PUPPIES (I just made you say “awh”, didn’t I?). But really…who doesn’t love a warm, fluffy, cuddly little canine? I digress. I first heard about MLL through a website I visit almost daily called Positively Positive. This movement, aimed at lifting the spirits of complete strangers through the art of letter writing, called to my affinity for what I call “real mail” – you know…like cards, postcards, and letters people send via the United States Postal Service. My interested was piqued! While perusing the MLL site and viewing Brencher’s TED talk, I learned that her individual effort – to write 400 love letters over the course of one year - bloomed into something that now has national and international attention and involvement. 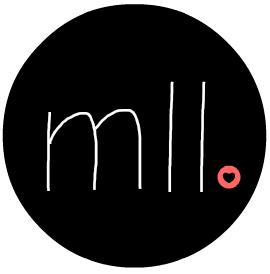 And those interested in participating in MLL’s quest have several options: they may 1) write and leave letters in random places for unsuspecting recipients to find, 2) write letters for Love Letter Bundles, and/or 3) nominate someone for a Love Letter Bundle. With the nation’s (arguably) most romantic day just behind us, I’d invite you to join me in this simple act of service. If you do nothing else in the month of Valentine's Day, would you please write one love letter? It doesn’t have to be fancy – just a quick note of encouragement for someone you know, or perhaps a complete stranger that stumbles upon your words. In doing so, you might offer the recipient just what they need, just what their world needs. Guest blogger, Jaclyn Hugg, is a higher education professional based in Chicago, IL. Her passion for service stemmed from her involvement with AmeriCorps and Student M.O.V.E., as an undergraduate student at Buena Vista University, and has followed her personally and professionally ever since. Top causes she supports: education, animal welfare, women's health, and hunger and homelessness. I'm sold. Great blog, succinct & to the point.